The first blended whiskey in Suntory history, Ao combines spirits from America, Scotland, Ireland, Canada, and Japan. Let’s face it. Nothing brings people together quite like booze. At the bar, people of all nationalities can come together to share a common toast. Embodying that spirit (no pun intended! ), the Japanese brewery and distillery Suntory is releasing a new whiskey blend that combines products from its distilleries in America, Scotland, Ireland, Canada, and, of course, its native Japan. 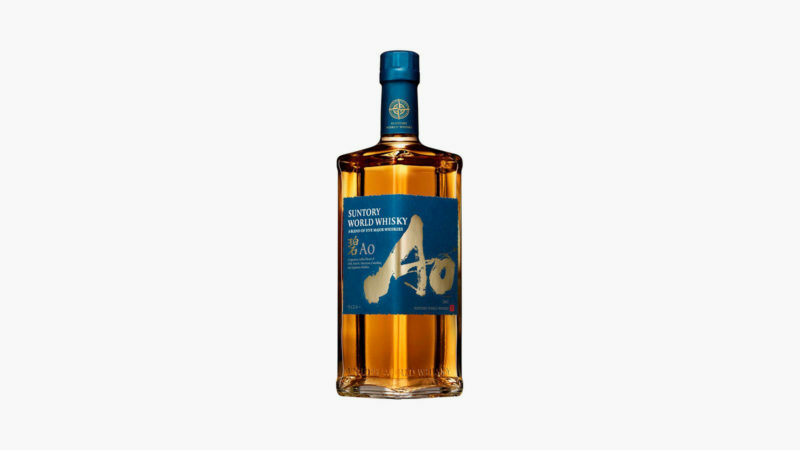 The first blended whiskey in Suntory history, Ao gets its name from the Japanese word for “blue” – the color of the ocean that connects the world’s five major whisky-producing regions. Although Suntory is remaining tight-lipped about the particular taste profile of Ao, the international sources of this blended whiskey are certain to produce some interesting results. Japanese whiskey lovers will be the first to try Ao for themselves when it launches domestically in April. Considering Suntory’s massive sourcing chain, however, a larger global release is bound to follow.